The RCVS Mind Matters Initiative and the Association of Veterinary Students (AVS) will be running an online wellbeing symposium, the very first of its kind, which is specifically designed for veterinary students. 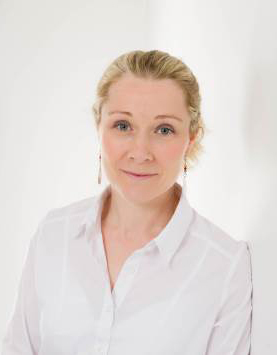 This symposium, titled 'VetKind', will be held on 24 November from 9am - 3pm and will be led by Jenny Moffett (pictured), Managing Director of Skillstree, an organisation that provides personal and professional development for doctors, vets, nurses and other healthcare professionals through evidence-based training, coaching and simulation techniques. The symposium has been organised by Eleanor Robertson (a final-year Liverpool veterinary student and AVS Senior Vice-President) and Hannah Fitzsimmonds (a fourth-year Bristol veterinary student and senior AVS Representative), who have put together a programme of expert speakers, activities and case-based learning experiences. The aim is to explore the mind, mood and mental health issues that are specifically relevant to students, with an evidence-based approach to the presented topics. The seminar will be split into two parts throughout the day, with the first section being run by Jenny and focusing on sessions around the Science of Happiness, perfectionism and the Imposter Syndrome, empathy, and how to maintain a healthy work-life balance. There will be a specific focus on the evidence behind positive psychology, which can then be taken forward and practically applied to help manage veterinary life. The second half of the day will be focused on discussions of any prominent issues that may have arisen from the previous sessions. This seminar is set to be educational and engaging, with many universities counting this towards a student’s extra-mural studies (EMS). Over the past year, the AVS has held Mental Health First Aid courses at every vet school, as well as holding ‘CV of Failures’ evenings, which were created for new graduates and clinicians to chat with students about inevitable career hiccups. Over the past year, the AVS has held Mental Health First Aid courses at every vet school, as well as holding ‘CV of Failures’ evenings, which were created for new graduates and clinicians to chat with students about inevitable career hiccups. These evenings, which were supported by Mind Matters, also seek to tackle and reduce the stigma around ‘failure’ as something to be ashamed of and avoided at all costs.